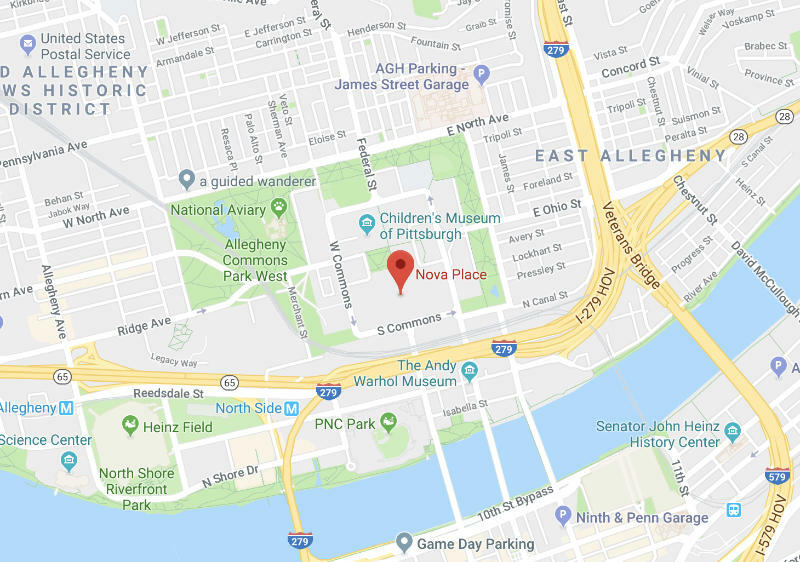 Tucked back behind a shopping / business plaza in Somerset, PA, you’ll find Jager and Friends Dog Park, a local non-profit trying to create a beautiful environment for humans to spend time with their canine counterparts. We approached Jager and Friends in 2014 to extend our services, and created a brand new, completely custom WordPress website to help with their online presence. Jäger and Friends Dog Park is a non-profit dog park located in Somerset, PA. The park was started by Jim Atchison and named for his dog Jäger, who is featured in their logo. The park is maintained via donations and aims to provide a safe, enjoyable area for local dogs and their owners to enjoy playing outside. Create a modern design for the website that correlated with the parks already established logo and brand. Make donation opportunities more noticeable on the website so visitors can contribute to the expansion and development of the park. Make it so the administrators could easily update the site when new fundraising and community events were scheduled to happen in and around the park. We were inspired to help Jäger and Friends after a visit to the dog park with our own dog. We loved the community effort and benefits this park provided to members of Somerset, PA. When we realized they needed some web help, we knew this would be a perfect project for Thought Space. The old website needed some TLC to look more modern and inviting to visitors. We used their already established logo as a starting point for developing an attractive, modern website that’s easy and fun to use. The administrative side of the site also got an update so that the members of the park’s board could easily manage the content and keep visitors up to date. Thought Space Designs donated this updated, redesigned website to the park in order to make managing their online presence easier. The website was moved to WordPress, giving the owners a modern, easy to use backend to keep the site updated. It features custom graphics and an event calendar plugin that allows the owners to post upcoming events to the public right on the site. Our other goal of the new website design was to drive donations to the park so that they could continue to expand and improve on the property. Strategically placed call-to-action buttons were used to promote and boost donations to the park, making it simple for visitors to support the cause. 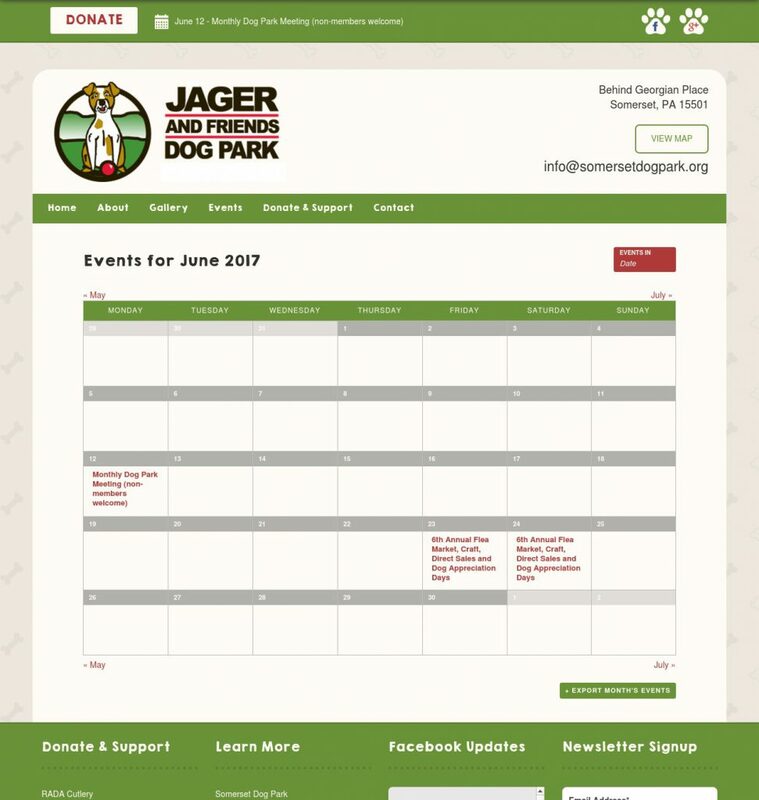 The old website for Jäger and Friends Dog park had a dated design that wasn’t very user friendly. We took inspiration from their preexisting logo to create a new design that would engage site visitors and get important information across much more quickly. The new design features an updated color scheme, inspired by their logo, as well as custom graphics and icons. We chose a playful handwritten font for the headers on the site, and paired it with an easy to read sans-serif font for the body. The buttons on the site were made to be bright and eye-catching in order to help guide visitors around the site. For a final design touch, we added a little graphic of Jäger (from the logo) to the footer of the site. Our first task for updating the site’s functionality was to move the site to WordPress. This would give Jäger and Friends’ board members the ability to quickly and easily update their website content as things changed and grew with the park. WordPress allows them to add/remove pages, change announcements on the home page, and much more. We included a drag and drop editor on the site as well that makes making these kinds of changes even easier. With WordPress we were also able to incorporate an event calendar to display the park’s events live on the frontend of the site. The calendar is linked to a Google Calendar so admins can add events to the calendar they’re already used to using, and they will automatically be posted to the calendar on the website. Bringing the Jäger and Friends website up to date has prepared the park to grow and expand for years to come. From the boosted visibility of donation options, to the easily updatable interface, this site has been a huge benefit to the park and their cause. When we launched the redesigned site in March of 2015, traffic and engagement with the site began to increase dramatically. Traffic since has leveled out at higher numbers than they had on the old site, and it typically spikes during warmer weather months and special events.